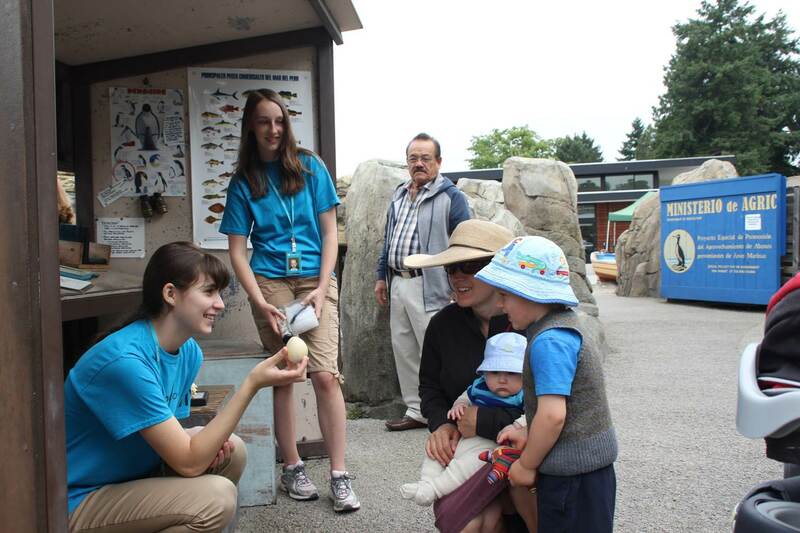 Woodland Park Zoo Blog: High five, zoo volunteers! Woodland Park Zoo has the cause. Volunteers have the effect. Earlier in October, Woodland Park Zoo held its festive Celebration of Volunteers at the beautiful Seattle Aquarium. Hundreds of volunteers and staff turned out to share hugs and smiles and to give huge thanks. We can’t underscore our gratitude to these amazing people enough. A volunteer “freely offers to contribute to an enterprise or a task.” The key word is freely. Our volunteers, an amazing cadre more than 750 talented people strong, make the choice every day to show up rain or shine and contribute to any and all aspects of our mission. They are part of our team. They are our rock! At the Celebration, we recognized 45 members of this special cadre for making a difference in animals’ and peoples’ lives. Each honoree has given between 1,000 and 14,000 hours of service to the zoo. 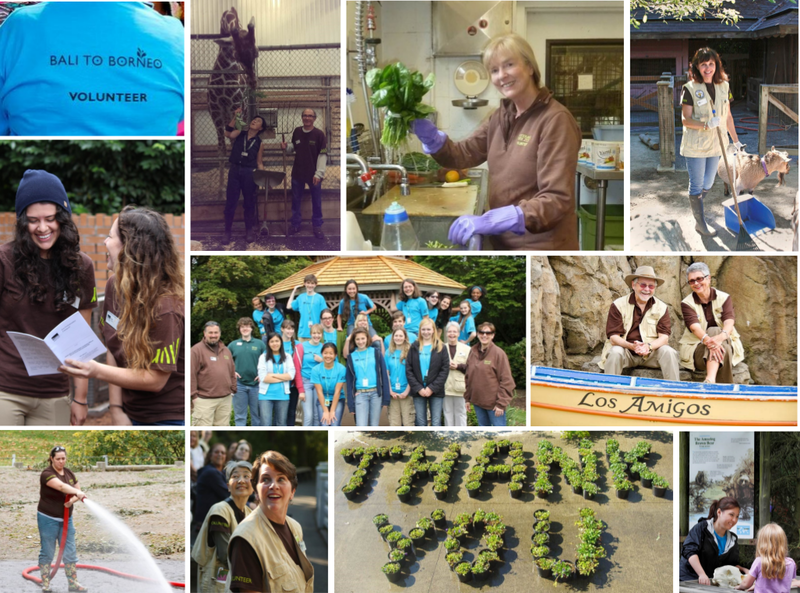 Altogether this generous group has invested more than 144,000 hours of time and talent in the zoo’s mission. That’s the equivalent of full-time work for 73.5 years! In addition, many zoo volunteers also make generous financial contributions to this beloved community institution. Wow! Why do they do it? Because of their beliefs about caring for animals, people and planet. Because service to others is a form of civic and personal leadership. Because building community and making a difference makes for a life well lived. Because they are driven to learn something new every day, and share it with as many people as possible! Because, sometimes, it’s the hardest job they’ll ever love. And, because it’s fun! Zoo members and guests are not shy about sending in (unsolicited) accolades about our amazing volunteers! 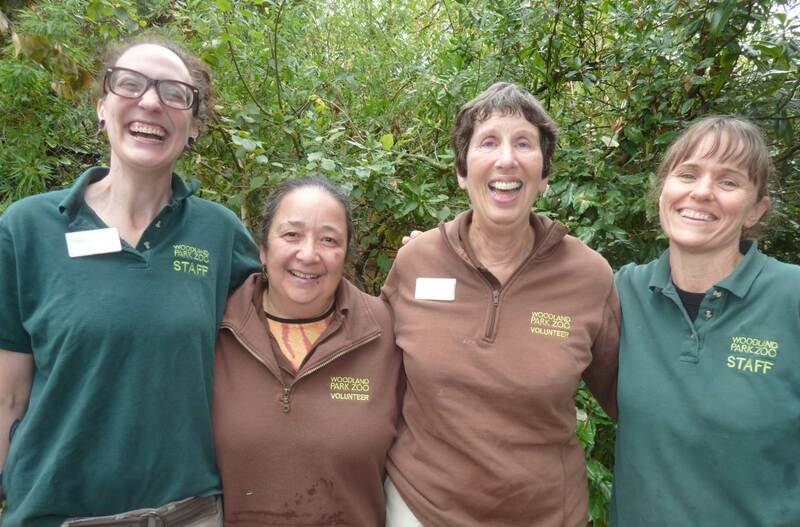 Each and every volunteer provides a crucial service for the zoo and community. Whether it’s preparing food for the animals, giving kids and families up close experiences with animals, helping curators and keepers with caring for animals, engaging guests and sharing conservation stories, tending to gardens or animal areas, or working special events and even office projects, volunteers create lasting memories for themselves, their peers, the staff, and our guests for years to come. 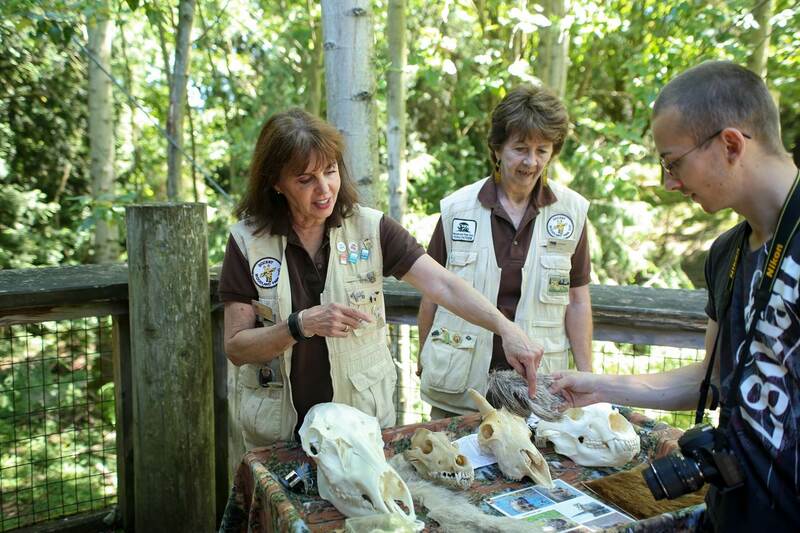 Without such talented and skillful volunteers, the zoo could not care for more than 1,000 animals, attend to 1.3 million guests, help thousands of students and teachers learn about science and the environment, and save wildlife on the front lines of conservation in the Northwest and around the globe. Nobody can do everything, but everyone can do something! 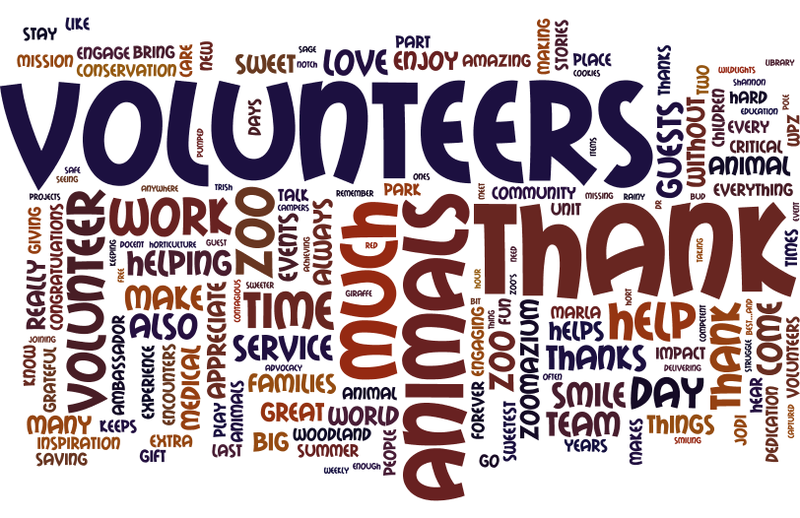 Thank you, Woodland Park Zoo volunteers! 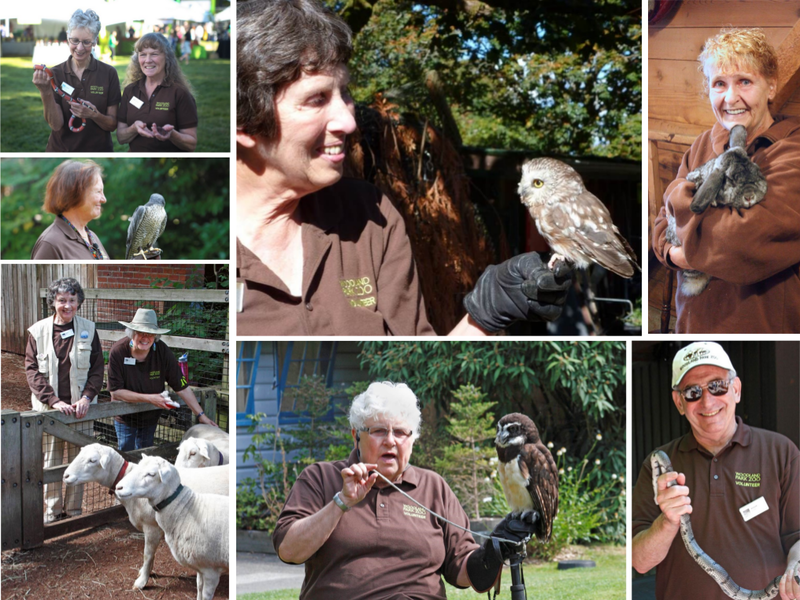 If you are interested in volunteering at Woodland Park Zoo, check out upcoming volunteer opportunities.